Napalm was invented on Valentine's Day 1942 in a top-secret Harvard University weapons research laboratory in Cambridge, Massachusetts. Professor Louis Fieser tested the first napalm bomb on the Harvard College soccer field that Independence Day. It went on to support the Allies in Europe, incinerate 64 of Japan's 67 largest cities, and help America win World War II: the Bomb got the press, but napalm did the work. 1942: Harvard University test of white phosphorus igniter in napalm bomb. Louis Fieser, The Scientific Method. Napalm describes any form of thickened hydrocarbon: torturously hot and sticky when ignited, stable at high and low temperatures, cheap, easy to transport, and simple to prepare. It is one of the most devastating weapons ever invented. Air force commanders around the world embraced incendiary gel after they observed its effectiveness. Greek bombers used U.S. napalm to annihilate civil war enemies in 1948. Napalm held the line against communism in Korea in 1950. United Nations forces eventually dropped about twice as much on the peninsula as fell on Japan during WWII. In 1952, an American patent made Fieser's formula public. Napalm has subsequently been used in most of the world's major military conflicts. Cuba, Peru, Bolivia, Brazil, Britain, France, the Soviet Union, Portugal, Israel, Egypt, Turkey, Iraq, India, Ethiopia, Thailand, El Salvador, and Argentina are among the states that have attacked enemies with the gel. It was most recently used by the United States during the 2003 invasion of Iraq. Americans applauded front page stories on the incineration of Tokyo and the firebombing of other Japanese cities. During the Korean war, The New York Times and other newspapers printed hundreds of articles that mentioned napalm. Criticism, if it occurred at all, was fleeting. Vietnam changed this paradigm. For the first time, napalm’s horrific effects on civilians, especially children, received sustained attention in the United States. A grass-roots protest movement against the incendiary and its manufacturer Dow Chemical Corporation began in northern California in 1965. It spread across the country in the late 1960s, and linked business, weapon, war and country so effectively, and received such wide publicity, that napalm came to symbolize for many all that was objectionable about American involvement in Vietnam. In 1972, as debacle loomed for U.S. forces, “The Terror of War” photograph of nine-year-old Kim Phúc, burned naked as she ran to escape fighting, became an icon. Defeat in 1975 took napalm’s reputation, and much of America’s, with it. Movies, songs, artworks, poems, books and articles produced during and especially after the Vietnam War popularized the anti-war movement’s argument, and made napalm a worldwide synonym for American brutality. International law globalized and codified this new antipathy. Diplomats and attorneys, who showed little interest in napalm for the first decades of its existence, convened conferences and drafted rules to limit its deployment starting in the late 1960s. 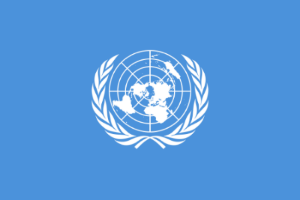 In 1980, United Nations delegates adopted many of their proposals when they approved Protocol III of the Convention on Certain Conventional Weapons. Incendiary attacks against “concentrations of civilians” became war crimes. Most of America’s allies and greatest adversaries, their way smoothed by development of alternate military technologies, endorsed the compact in relatively short order. 1980: United Nations Convention on Certain Conventional Weapons Protocol III regulates napalm. United Nations Office at Geneva. America refused to accept the world’s judgment. Presidents Ronald Reagan and George H. W. Bush did not even submit Protocol III to the Senate for discussion. Over time, however, events changed the calculus of national advantage. Commanders in Chief came to appreciate the benefits of working within global consensus. President Bill Clinton and his successor George W. Bush changed course, and urged ratification. In 2008, in the face of multilateral alliances assembled to regulate landmines and cluster munitions, and concern that international law to manage conventional weapons was slipping out of U.N. control, senators ratified the protocol. President Barack Obama signed it in 2009. A diplomatic reservation attached by the president, however, asserted that the United States could disregard the treaty at its discretion if doing so would save civilian lives. This provision, of questionable legal validity (although no doubt valid enough in practice), suggests nostalgia for unilateralism. Napalm’s flames limn this arc. In 1945, it was an American hero that helped win the fight against fascism. In 1950, it held the line against communism in Korea. It served with distinction for most, or all, of the Vietnam war. Today it is a war criminal on probation, its use against concentrations of civilians banned by international covenant and its deployment against anyone else tightly restricted by the law of public opinion. Fire’s savagery as a weapon has not changed since World War II, or even since the time of Hercules. Hydrocarbon-based incendiaries, although there are alternatives, offer proven, cost-effective military solutions. What has changed in napalm’s lifetime is America’s defeat in Vietnam, and the rise of a global society. Incendiary gel is a symbol of the former: stigmatized to the point of monstrosity, and unmentionable for leaders. Its fate is a searing example of the authority of the latter.